← What’s all this buzz about Superfoods? To be honest this is a typical conversation that I have on a daily basis with many of my clients coming to see me for weight management. Recently this conversation has been happening more due to the latest piece published in The New York Times titled “A Call for a Low-Carb Diet That Embraces Fat.” Who wouldn’t be frustrated with all that mixed nutrition messaging that we get day in and day out. From our facebook news feeds to the lead store on CNN, we are bombarded with snippets and soundbites of the next miracle diet, and if we want to be thin and live forever we better get on board! Guess what, I bet ALL those ways of eating and diets work for someone out there. Even more I bet there is research (maybe not good research, but research) to support every diet we have heard in the news recently. I have personal experience with this “frustration” as well. I have clients that are vegans that walk through my door shocked they have pre-diabetes and then I’ll have another client eating a diet of just red meat and potatoes, who has never exercised a day in his life, and has the lowest cholesterol I have ever seen walk though my door next. Explain that one!?! Well science is trying to! I tell my clients, nutrition is powerful but also to keep in mind it is a “young” science that is changing everyday and we don’t understand the whole picture completely to give you a “final” answer of exactly how to eat. One area of nutritional science that I think has the potential to help us find this “final” answer is Nutrigenomics. Nutrigenomics is the study of how foods affect our genes and how individual genetic differences can affect the way we respond to nutrients (and other naturally occurring compounds) in the foods we eat. This may explain why their is so much variation in success from one eating style to the next. Right now this science is still in it’s infancy but I think is potential for prevention could be infinite. In the meantime what are you suppose to do? I jokingly say to my clients we are doing our own individualized clinical trail and you are our main subject. 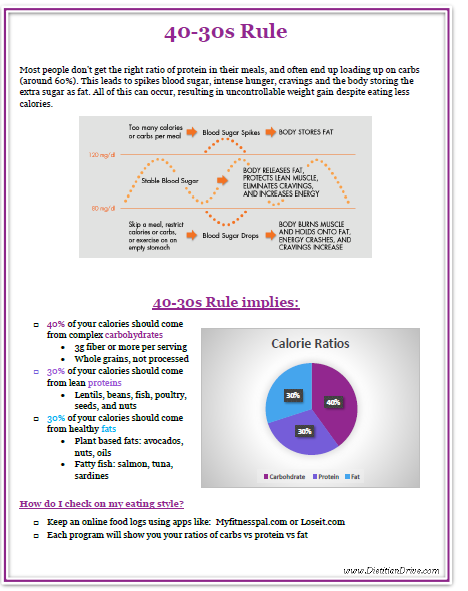 My method which I call the “40-30s Rule” I use with many of my weight management clients. 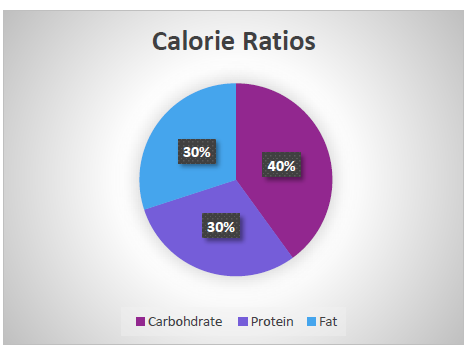 It is all about finding a balance between your ratios of carbohydrates, proteins and fats. Many of my conclusions I have draw are inspired and based on the research of Stefan M. Pasiakos a researcher at U.S. Army Research Institute of Environmental Medicine and Dr. David Ludwig a pediatrician and endocrinologist at Children’s Hospital, Boston. Also the Zone style diets also align greatly with this principle. Most people don’t get the right ratio of protein in their meals, and often end up loading up on carbs (around 60%). This leads to spikes blood sugar, intense hunger, cravings and the body storing the extra sugar as fat. All of this can occur, resulting in uncontrollable weight gain despite eating less calories. No matter what food principles you fallow: Vegan, Paleo, Pescetarian, the 40-30s Rule can always apply. This is not a NO carb diet this is a smart carb lifestyle that is balanced with lean proteins and healthy fat. That is the message that I preach the most, eat what’s right for your body and everything can fit especially if you can choose whole, unprocessed foods. This entry was posted in Inspiration, Self Care, Weight Loss and tagged carb control, Fad diet, food choices, High Fiber, media hype, Nutrigenomics, weight health, Weight loss. Bookmark the permalink. 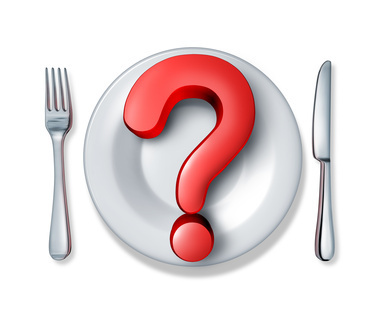 2 Responses to What to make of this call for following a Low-Carb Diet? Looking forward to diving into this in Wellness Group next week, particularly in terms of what this looks like for a vegetarian/vegan diet!